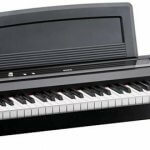 Digital piano headphones are a little like cosmetic jewellery to some but if you are going to spend any medium length of time with them on your head, two things will become evident. Do they remain comfortable on your ears and do they leave your hearing unimpaired after use. Choosing the right pair of headphones is as important as the choice of instrument. One shouldn’t be making careful choices about sound quality and touch and then not consider how the sound is reproduced on a pair of headphones. To help you make an informed decision, we list our top ten based predominantly on comfort (my absolute priority) and sound reproduction. 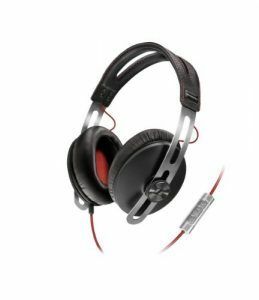 Even good sounding headphones that aren’t comfortable will leave you wanting a new pair after time. Our best headphones for digital piano. This is a professional set of earphones that comes in at an entry level cost. With a significant markdown n the original release price, but no loss on quality it feels almost too good to be true to be getting a set of headphones that sound this good at such a reasonable price. The headphones are stylish and slim in design and light enough not to feel as if they weigh you down eventually. The cross piece is padded for extra comfort and the headphone doesn’t leak sound, thereby preventing disturbances in public settings. They give a great bass response, with clear mid-levels and sparkly treble response, making for smooth, accurate sound reproduction across the dynamic range. 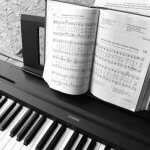 This is great for those who use their headphones across a wide range of musical uses and especially great for plugging into digital pianos and similar instruments that produce large ranges of sounds from bass through to treble registers. The AKG has very little not to like and comes highly recommended. These are the ear-bud variety or in-ear headphones, which generally to me are less comfortable than headsets. This particular pair however sit snugly in the ear and the soft rubber capsule did not irritate the ears while listening even for someone as tactically-defensive as I am. The built in tweeter/woofer micro-driver transducers deliver some of the clearest sound imaginable. Beautiful sound recreation makes one feel as if you are in a listening booth experiencing the clearest high fidelity sound. The head phones deliver a high degree of instrument separation and deliver sound quality that will impress the toughest audiophile. They are also insulating so do not leak noise or let outside noise in. 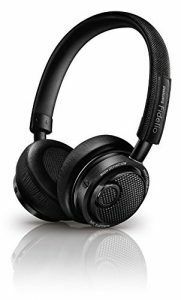 Combined with their incredibly comfortable design and ultra-high sound quality they feature at a mid-level price and won’t break the bank. 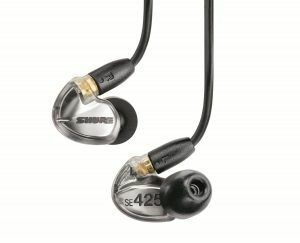 This model really impressed me and I wasn’t sure that I wanted to recommend an in-ear set on this list. So we had to include one set that are on the more expensive side, but that’s because when it comes to a company like Bose, if you can afford it, you should probably get it. These headphones are the ultimate in style, but that isn’t why you should buy them. They sound phenomenal, with crystal clarity and accurate frequency production across the spectrum. They also cancel out noise giving the ears nothing but the best sound reproduction that money can buy. This means that you don’t have to put the volume too loud in order to drown out ambient noise. They are exceptionally comfortable and sit snugly on the head, almost unnoticeable. Unfortunately they are quite pricey. So aside from their unbelievable sound reproduction and great looks, they are also extremely comfortable to wear. For comfort, these stylish, discrete phones offer satisfaction in a sleek package design and come with the sell-line of being virtually indestructible. ( great for me as I have destroyed a few in my time). Added features include a remote with great functionality for Apple users. 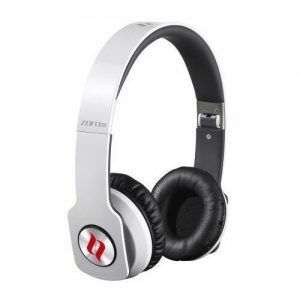 The headphones have a punchy bass sound and clear, resonant treble end, delivering a clean full-bodied sound. A spacious headroom delivers a full bodied sound across the frequency spectrum. This set is exceptionally good looking and discrete and comfortable to boot. With a price tag that is reasonable, these phones offer a range of features that place it near the top of the pile for mid-priced headsets. 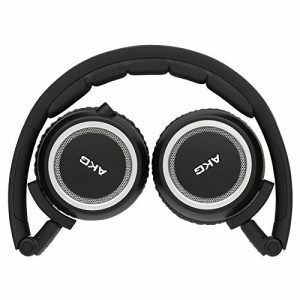 Also on the wrong side of expensive these headphones offer a crisp clarity that allows one to hear fine detail. The sound is well balanced and provides an expansive audioscape, rendering a flawless true reproduction of the recorded work. They deliver a punchy in your face sound that responds well to music of all genres, whether it is busy with detail or spacious with lone notes lingering in the background. Everything can be heard with full bodied clarity. 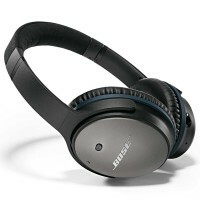 The added feature is that these headphones run on Bluetooth and as such are wireless. With ease of use and comfort as standard the headphones make an excellent choice. The controls are all on the device and give the user full control from the comfort of their favourite listening spot. Once you have tried wireless you may never want to use wired devices again and it makes it the best digital piano wireless headphone. 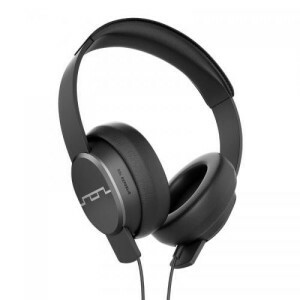 This over-the-ear pair of headphones has a modern look suited to the style-conscious urban city dweller. They have a soft leather pad that covers the ear and provides an ultra-comfortable wear. The material covering the ears is porous, making for good heat transfer, which prevents your ears from overheating. They sit very comfortably on the head without pressing down into your skull. Sound-wise they deliver a clean, punchy sound, with a particularly decent bass response. The higher end lacked a little detail but this made the treble sounds a little mellow. The noise isolation prevents leaking to the outside and dulls ambient noise interference. With a 3-function remote, a jack which can swivel for 90 degree or 180 degree entry into devices and a stylish carry case, there is little not to admire in this fresh designed and great sounding headset. 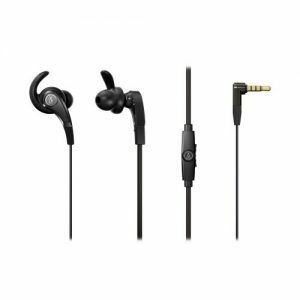 This in-ear set has an ear hook for added comfort to prevent phones from slipping out or putting to much pressure on the ear lobe. The rubber tips included are soft and four pairs offer a choice to users for the snuggest fit. The sound is produced by large drivers that deliver a clear sound spectrum with a deeply satisfying bass that does not overpower the rest of the sound range. The treble and mid ranges gave a clean response and overall one is treated to a well-balanced range of tone expected from top end sets. The ultimate decision to purchase should be based on the extremely good pricing for this headset. With a high comfort level and a clear audio response, these phones feel and sound a lot better than their price-tag would suggest. These unusually designed phones have memory phone ear cushions making for absolute comfort, tailor-made to each individual. 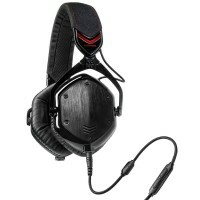 The sound offers the ultimate in quality and they have a bass response rarely heard on headsets. The middle and upper end is clear and precise and is not overshadowed by the incredible bass sound. They come in a range of colours and even offer customisable engraving on the metal exterior. The set meets rigorous testing for strength and durability. A unique feature is the ability to listen to sound from multiple sources and to mix and fade these at will. 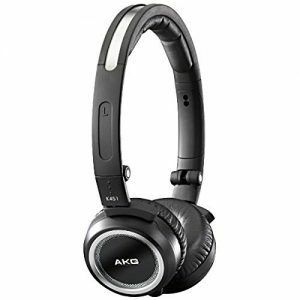 Maybe a little overpriced for a set of headphones but the features it offers make it a winner, and if it’s ‘all about that bass’, this is definitely the pair for you. 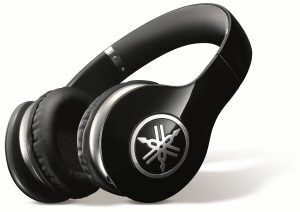 To complement their already renowned instrument range, Yamaha have a headphone set to match and it delivers. The sound on this set offers a deep, resonant, spacious sound and do not distort at even high volumes. The drivers create a three dimensional sound space making for a directed response. 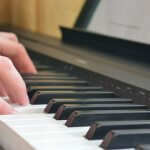 A crisp upper end means that music comes out with a full, natural delivery. The leather ear cups are well padded making for a high level of comfort. The look is standard and may be a little on the fatter side to be considered by the more fashion conscious, but nevertheless they look professional. Yamaha have a contender for a top 10 headset in this comfortable, super-rich sounding and reasonably priced accessory. This is a budget set, that matches the more fashionable and expensive sets such as Dr. Dre’s Beats. 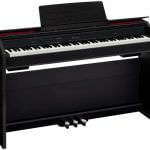 Being a budget set, the design and construction is a little less rigorous than more expensive sets but the look is right and being constructed from lightweight materials the set is comfortable and suited for long listening periods. They deliver a decidedly bassy sound but with a high level of clarity. The mid-range and treble range delivered a good punch and pretty crisp sound. At around $50 this funky headset truly delivers above a punch above its weight grading. If fashion needs to be combined with quality sound and budget constraints, this set is the pick of the bunch. Bear in mind that our ratings are based on a comparison with each other. Each of these headphones is already great, hence appearing in our top ten. They offer some of the best technology available and meet requirements for comfort and sound quality that exceed hundreds of their competitors. For listening quality these are all high end sets that deliver.